The Warwick and Warwick auction held on 15 March contained an important Suffolk collection, which was broken down into 17 lots, with the town collections offered as individual lots and the village collections offered as 4 large collections. The collections of village cards proved very popular with the result that the pre-sale estimate of £1,600 was considerably topped by the realisation of £4,484. The Suffolk towns also sold well: 500 Felixstowe estimated at £140 made £620; 600 Lowestoft, estimated at £130, made £578; 150 Southwold, estimated £120, made £678. 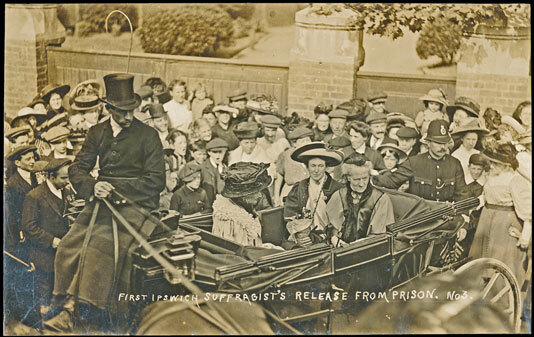 Lot 49 was a single RP card of an Ipswich suffragist’s release from prison. The estimate was £60 and the realisation was £236. 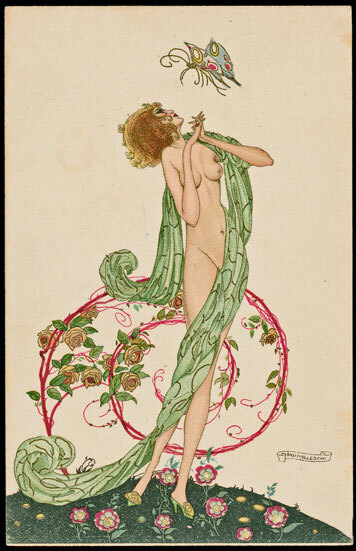 The sale contained an impressive section of artist-drawn cards and was rich in art nouveau and art deco designs. A set of 6 Umberto Brunelleschi art deco cards (lot 78) realised £555. 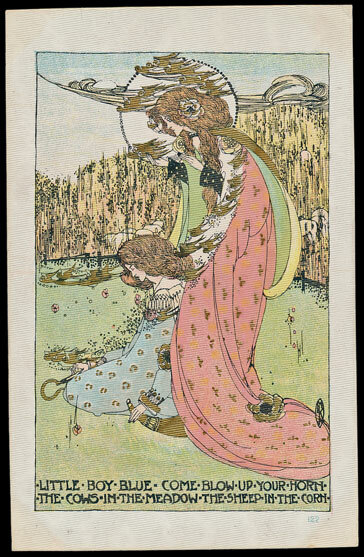 Jessie King’s Nursery Rhymes, in art nouveau style were offered as a part set of 5 (lot 88) and realised £236. There were 3 large collections of Raphael Kirchner on offer, estimated in total at £1,850. The 212 cards were in variable condition, which was accurately described. The total result was £2,230. A range of 12 Mela Koehler art deco designs, mainly fine, achieved £448. 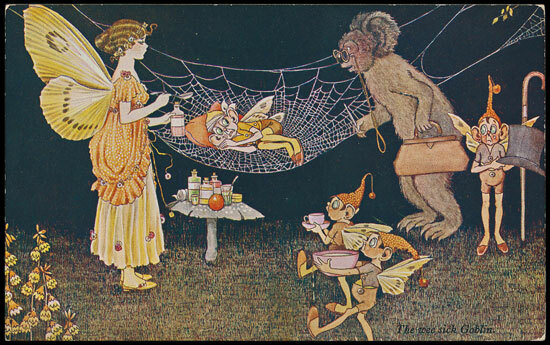 Ida Outhwaite’s Elves and Fairies are always popular and lot 100 comprised 8 sets of 6 of her cards. The lot realised £495 despite one or two minor faults. Warwick and Warwick’s next sale is on 18 May and includes the final part of the famous Karl Jaeger collection of foreign countries. The catalogue is not to be missed.